Use the Founders' Day link to the left in the orange navigation bar for more information and to make your reservation. Presenting a quick 6 week review of SAGHS activities? 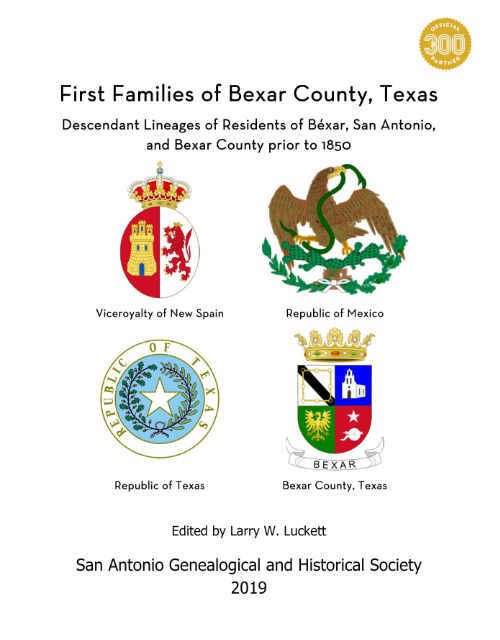 The book offers a collection of descendant lineages, personal histories, and family narratives from residents of Béxar, San Antonio, and Bexar County prior to 1850. The book includes lineages on 51 ancestor families of 103 First Family descendants recognized in the first 20 years of the SAGHS rogram. Ancestors include Spanish presidio soldados, Mexican familias, Tejano pioneers, European colonizers, and Anglo-American immigrants. Biographical sketches, historical narratives, photographs, and maps supplement the lineages. 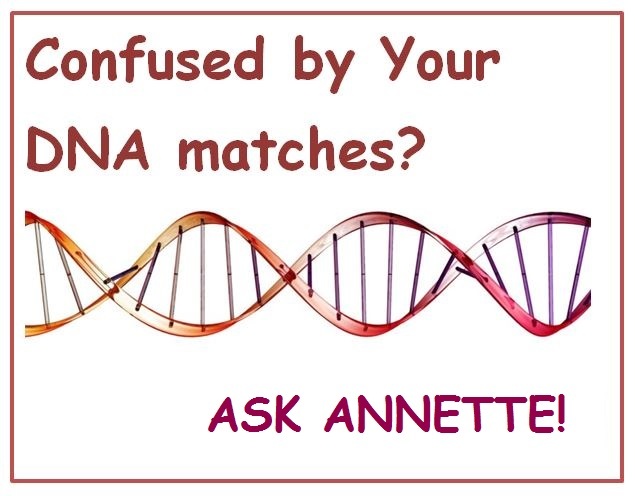 Lineages are fully documented with source citations conforming to current genealogical standards. Soft cover, 330 pages, full color covers, illustrated throughout; indexed by full names and locations. Preliminary Orders now being accepted by downloading the order form. Use this link smile.amazon.com when shopping on Amazon and Amazon donates to San Antonio Genealogical & Historical Society. 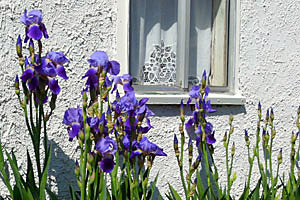 The obituaries list from San Antonio newspapers has been updated to include deaths in 1961. 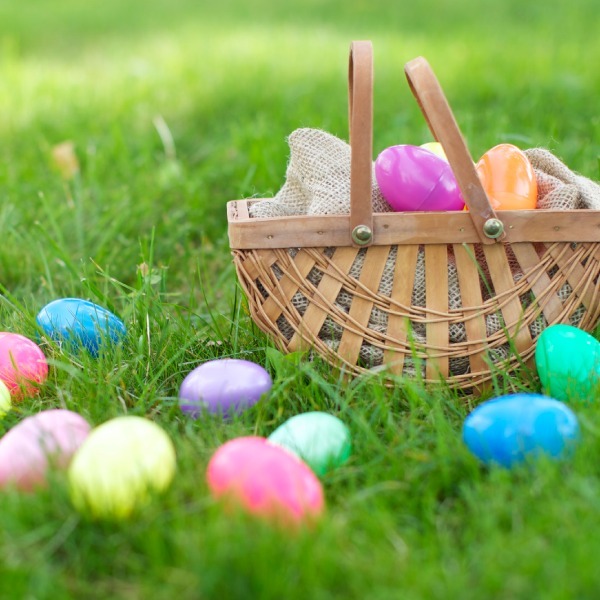 The Library is closed today for Easter Holiday. It re-opens Monday, April 2nd from 10 am - 4 pm.